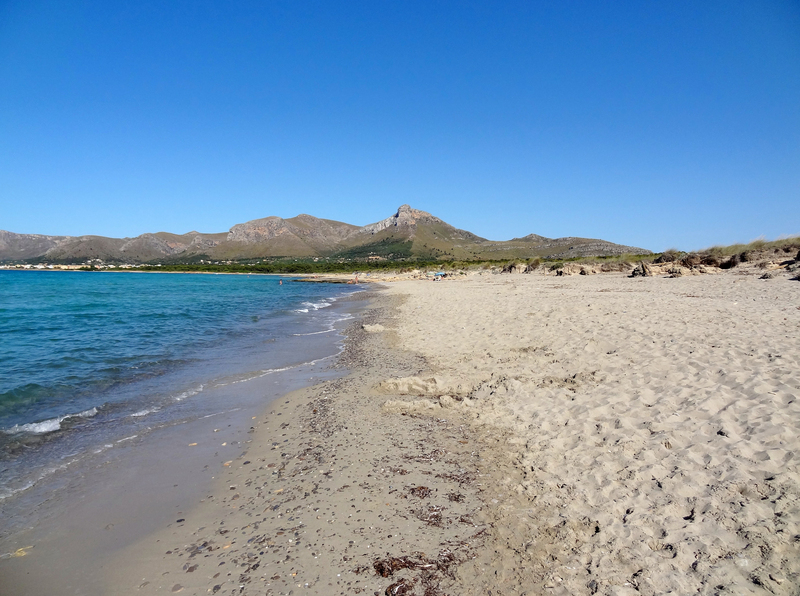 Colónia de Sant Pere is a small coastal town on the northern coast of the island of Majorca. The village of about 550 inhabitants, is part of the municipality of Artà in the Levant county (comarca de Llevant). Colónia de Sant Pere was founded in 1880 as an agricultural colony. Its small fishing port, hosts more yachts. The village has a small range of 80 meters in length, which is protected by a breakwater. In Castilian Spanish, Colónia de Sant Pere is called Colonia de San Pedro. The parish church is dedicated to St. Peter, the patron saint of fishermen. The village is commonly called the Colónia. 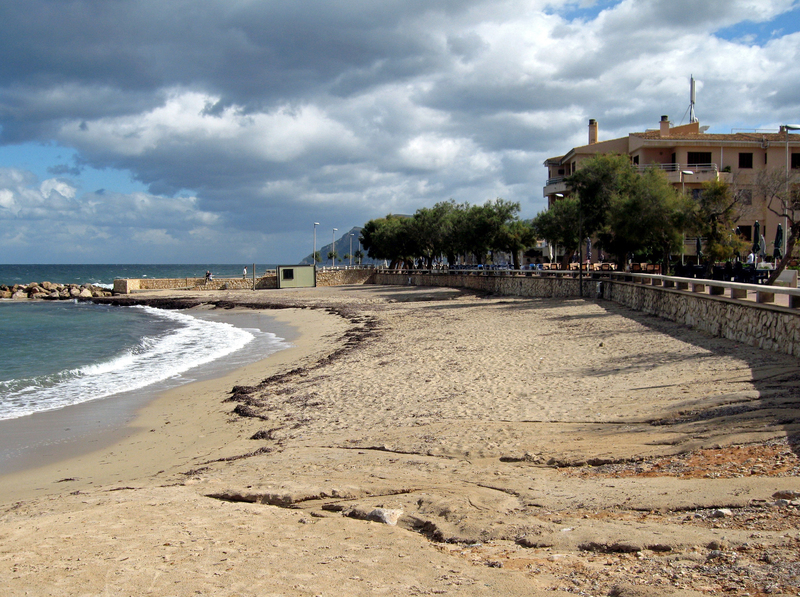 Colónia de Sant Pere is located on the eastern coast of the Bay of Alcúdia (Badia d’Alcúdia) alongside other "new towns" created on the bay in the 1960s: the Urbanització Betlem, the Urbanització Montferrutx and the Urbanització s’Estanyol. Colónia de Sant Pere is located in the western part of the municipality of Artà, the village has a wide coastal strip, separate plains Capdepera and of Artà by the northern end of the Serra de Llevant. The slopes of the mountains, down to the creeks are covered with vineyards and almond orchards. Above the village - from the Ermita de Betlem - hiking trails lead to the peaks of the Talaia Freda, the Talaia Moreia and Puig de sa Tudossa, which dominate the Cap de Ferrutx. The Betlem hermitage overlooking the village of Colónia de Sant Pere from the heights of massive Artà (Massís d’Artà). 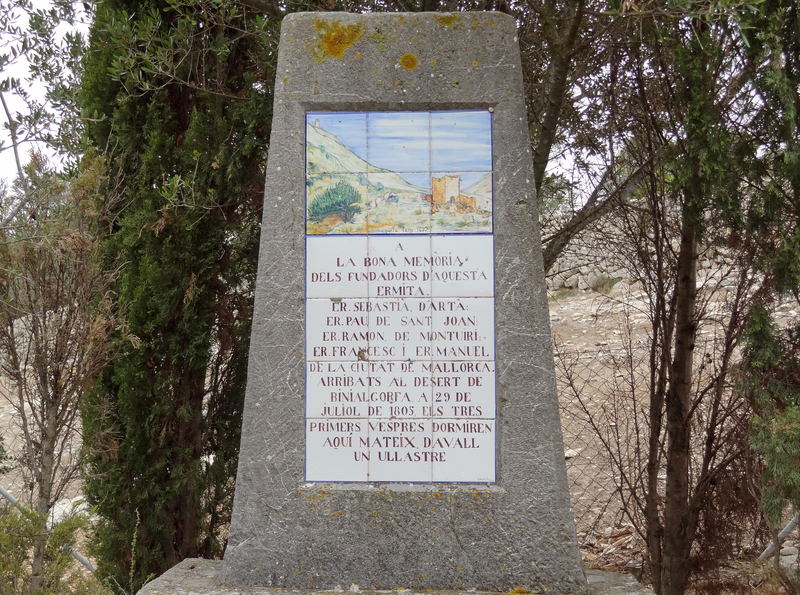 Since the city of Artà is accessed by road Ma-3333, after 9 km, leaving on the right the road to the Natural Park of Levant and borrowing on the left a trail 4 km, which rises to the Hermitage. You can also access the hermitage from the Urbanització Betlem, up the main street, and at the junction, turning left towards the church, note that this 5 km walk, which has an elevation of 250 m is a bit difficult. The entrance to the chapel is through a 150-meter wide driveway lined with cypresses. The Ermita de Betlem is situated on the lands of the ancient Moorish farm Binialgorfa. 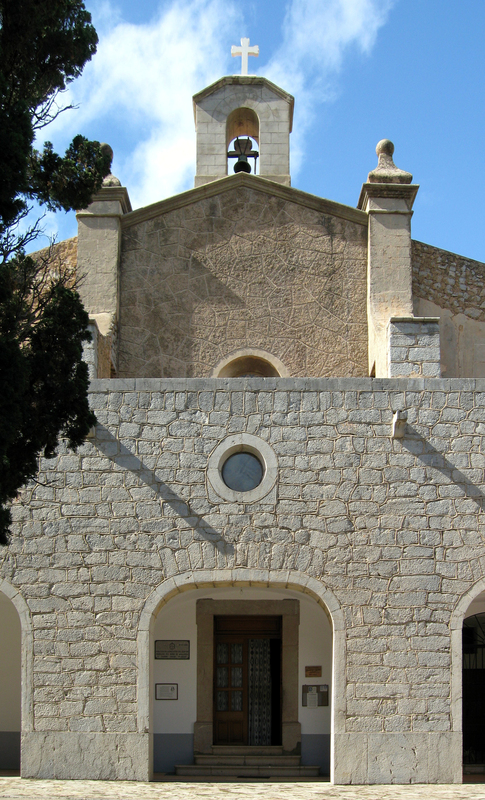 The hermitage was founded in 1805 by members of the eremitical communities Sant Honorat de Randa and Santíssima Trinitat of Valldemossa. 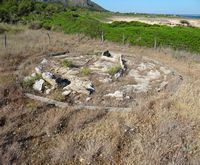 This community is established in this place thanks to a donation by Jaume Morei, owner of possessió Ferrutx, a small parcel of land containing the ruins of an old defense tower and an oil mill. Financial support was provided by other benefactors as Cardinal Antoni Despuig. The Chapel of the Hermitage was opened May 10, 1818. The hermitage was inhabited by hermits throughout the nineteenth and twentieth centuries, but is uninhabited since 2010 because of the age of the monks. All 1 May pilgrimage goes to the hermitage. 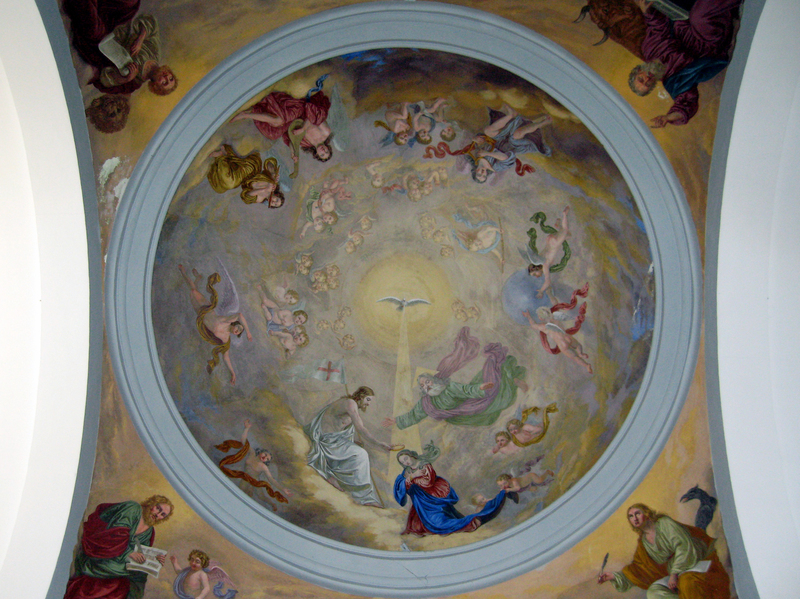 The chapel is the work of Joan Rosselló. It is a small building, on the main facade is a sundial, a small window and a rosette. 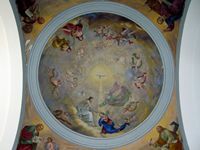 Inside the nave, the dome is decorated with a fresco of the Coronation of the Virgin, the work of Francesc Parietti, the altar and the seven paintings depicting the life of Christ, are the work of Brother Manuel Bayeu who was a friend of painter Francisco de Goya. These paintings were given to the chapel by Cardinal Despuig, they came from the Capuchin monastery in Palma de Mallorca. The effigy of "Christ in agony" (Crist en Agonia) is the object of great veneration by the inhabitants of Artà. 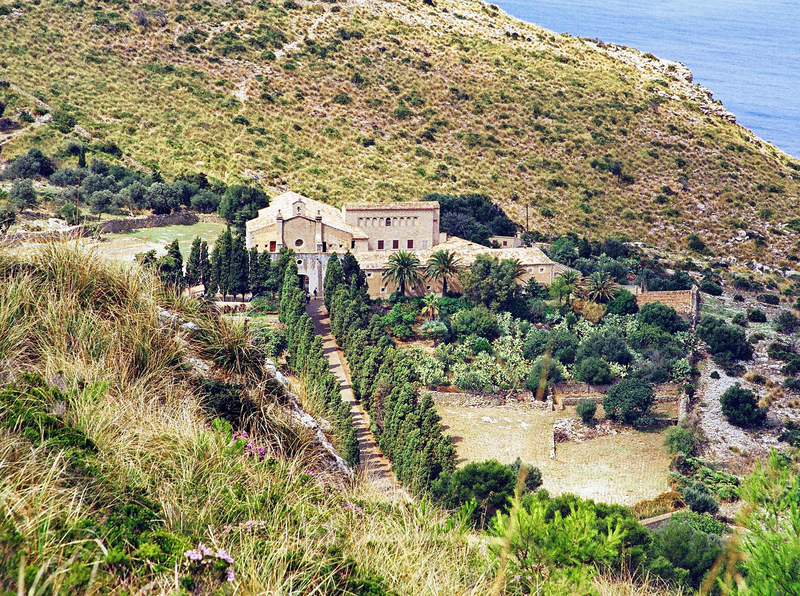 At the rear gardens of the Hermitage, several trails lead to an interesting point of view of the bay of Alcúdia. 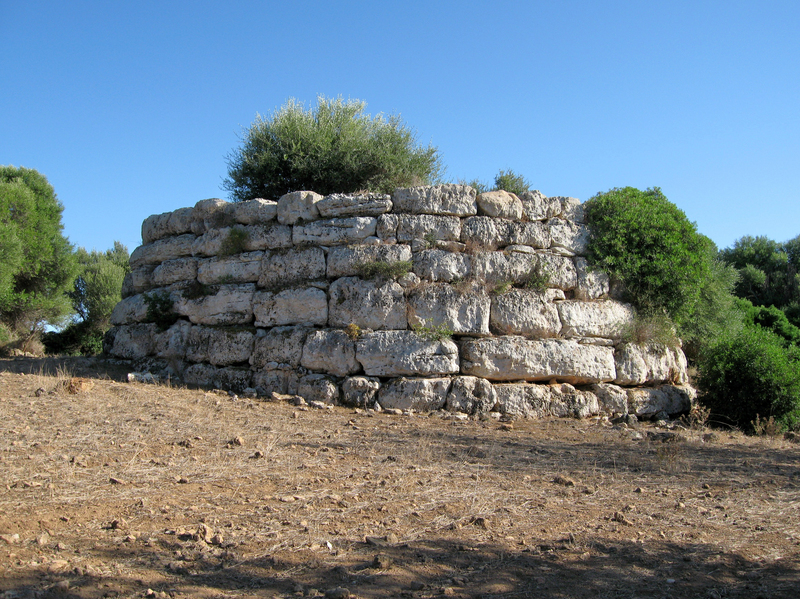 The archaeological site of the Sa Canova de Morell belongs as Ses Païsses site, the time of talayotic culture, his occupation covers approximately the years 1300 to 1000 BC. 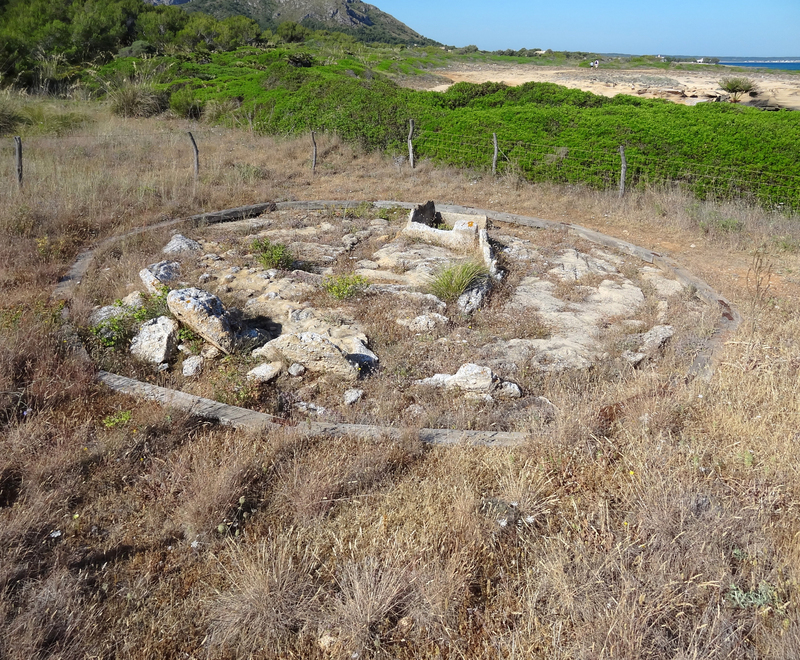 The site is located in the forest of the Canova of Artà, behind the beach and dunes S’Arenal de sa Canova. The dolmen S’Aigua Dolça is in the area of Es Canons, between Colónia de Sant Pere and the Urbanització Betlem. This dolmen is a monument, built around 2000 BC as a collective necropolis and its use lasted until about 1650 BC. By a narrow corridor was reached at a burial chamber roughly rectangular, where human remains were deposited, along with ceramics, stone tools, and objects of copper or bronze, such as knives or daggers. The hallway and room were surrounded by a circle of sandstone slabs arranged vertically. This set was covered by a mound of earth and stones. The original appearance was that of a hill with access to a small burial chamber, reminiscent of a cave. 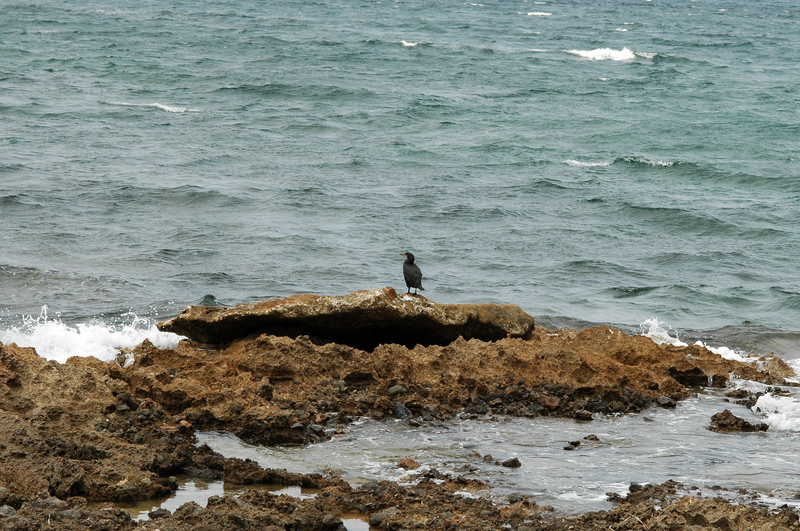 Among the curiosities of Colónia de Sant Pere, one notices fishing ponds built on rocky outcrops near the beach. 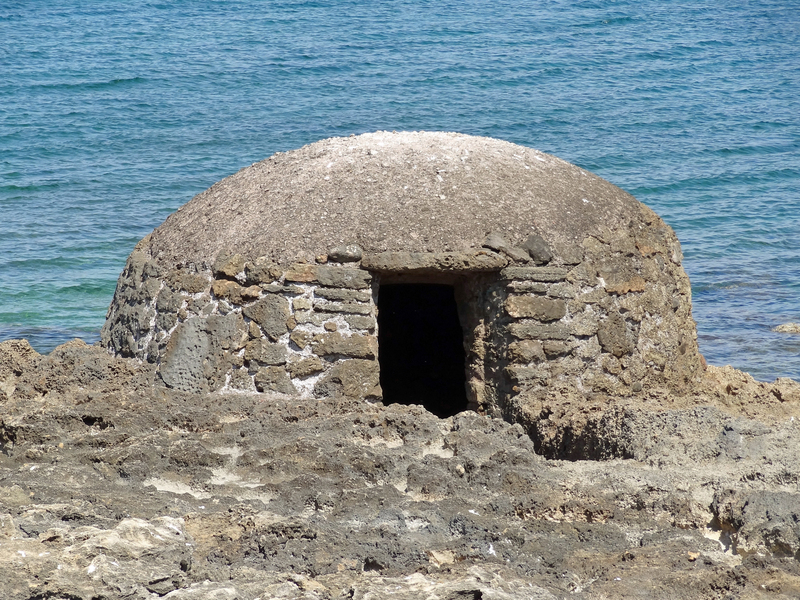 These ponds were built in the twentieth century and were used to keep the fish alive, both for sale and for bait and for this reason, they are partly built in the sea tanks have a circular wall of limestone jointed with mortar and a circular dome covered with mortar. 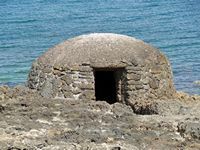 The door is made ​​of slabs "marés" sandstone Mallorca and inside - which is very small - you can see a rectangular tank where the fish were kept for some time.